Summary of Information: A new method to compute the true mean curvature, pachymetry, and elevation simultaneously over a central region of the cornea is reported. The method requires only about 100 data points along rays separated by 45 degrees as is common in ASOCTs. These quantities are computed from a surface reconstructed from data that is optimal in the sense of prediction error. The method is validated for synthetic corneal surfaces with known parameters, and applications to a normal, forme-fruste, and advanced keratoconic corneas are presented. here is the link to a free demo-version web-platform for artificial intelligence in OCT-scans interpretation. This position has been filled (as of June of 2017). This is a topic I have spoke on for decades. As a physician, OCT researcher, and co-founder of Lightlab Imaging, I have dealt with this problem for a long time. It is not unique to engineering. Physicians, who incorporate a large amount of information on a patient, want the simplest embodiment that gives the answer needed. Generally they would prefer the information was visual and categorical (ex: mild, moderate, and severe). Also, no device is of value till it shows it alters morbidity and/or mortality. Therefore, the objective is, using business terminology, use the minimal value product in clinical trials. On the other hand, many engineers strive for elegance and complexity. It is also my experience that many engineers avoid going to clinical trials for years, believing that if they reach a certain level of elegance it will be excepted by the medical community without trials. Generally, medical technology only has true value if tested in clinical trials and they should be started early not late. Our experience with single channel PS-OCT (relative birefringence) in arthroscope is an example. We received rapid acceptance by the surgeons with this simple approach that gave the needed information. But we met with constant criticism by the engineering community that complex artifact ridden dual channel PS-OCT was needed to give absolute birefringence. But no one could state what additional CLINICALLY RELEVANT information this increase in complexity would give. In summary, as simple as possible and it needs to effect morbidity and/or mortaility as demonstrated in clinical trials. A basic training in clinical, in my opinion, should be part of any bioengineering program. There was a lot of work done in the 80's and 90's on gas assisted ablation for PRK and LASIK. Some good and bad outcomes, one of which was that the plume of hot remodeled tissue went everywhere and was a biohazard! Mfgrs eventually went to a vacuum system for plume removal, which is what you see today. Dear editor OCT news, We have done clinical research work in OCT in few ocular conditions. I have used OCT for newer applications like grading uveitis, posterior tenon injection, Intraocular lens position evaluation. I would like to share the abstracts (published in leading ophthalmic journals) some of them in your website so that it reaches wide range of people interested in OCT application and research. I would like to know if its possible. Kumar DA et al. Aqueous reaction quantification after phacoemulsification: Fourier-domain optical coherence tomography versus slitlamp biomicroscopy.J Cataract Refract Surg. 2014 Dec;40(12):2082-90. doi: 10.1016/j.jcrs.2014.03.032. Epub 2014 Oct 22. Kumar DA et al. Anterior segment optical coherence tomography for imaging the sub-Tenon space.Ophthalmic Res. 2013;50(4):231-4. doi: 10.1159/000354381. Epub 2013 Oct 22. We have previously seen these shafts and at the very least, one other group has noted them. But this is the first association with pathologic consequences, particularly ACS. They did not connect these shafts with ACS or the thrombotic burden, but seemed to be more focused on rupture and cross sectional area. 1. J. Narula and S. Achenbach, "Napkin-Ring Necrotic Cores: Defining Circumferential Extent of Necrotic Cores in Unstable Plaques," Jacc-Cardiovascular Imaging 2(12), 1436-1438 (2009). As my comments in Nature Cardiology Reviews show, I strongly disagree with many aspects of the article Otsuka et al. (Nature Reviews Cardiology (2014) ) and their response article above "Matching human pathology...". Virmani et. al. These types of misconceptions I feel have contributed to holding back the field for over a decade. 1. Current OCT approaches do not reliable measure necrotic cores. With OCT, to identify TCFA, in addition to cap thickness you need to identify if it has a necrotic core. There are several problems with this. First the OCT literature has looked at the presence of lipid but histopathology studies have focused on necrotic cores. They are not the same thing. So no one actually has studied the imaging characteristics of necrotic cores, whose characteristic are often distorted by multiple scattering. Second, we have previously published it is unlikely that the current ‘diffuse borders’ criteria is actually measuring lipid or necrotic cores (based both on the data and theoretical reasons). This seems to be the opinion of the 2012 consensus study but you have to search to find it (J Am Coll Cardiol 2012;59:1058–72). For reasons we have discussed here and in other work, it is more likely the diffuse borders are lipid collections in the intima rather than anything specific to the core. It is just more likely that necrotic plaques have lipid in their intima (multiple scattering). We have previous published this can be removed with parallel ultrasound. 2. Current OCT approaches unlikely measure macrophages. It is unlikely current OCT techniques measure macrophages. We have stated in previous work are concerns over the one publication that suggests it does and in the current paper we discuss some of the reasons. That groups work used an algorithm and speckle variation. So the claim in the Otsuka et al that they actually caused shadowing is extremely unlikely and more likely do to other elements seen in the histopathology. Macrophages are a low scatterer in a high scattering environment (lipid and calcium). Recently Phillips JE et. al. have come to similar conclusions. We do not believe the approach in Tearney, G. J. et al. Circ. 107, 113–119 (2003) reliably measures macrophages. Again it seems to be the opinion of the consensus study but was an important point not emphasized. 3. As we presented in the TCT and should be published shortly, we believe that the TCFA that trigger ACS are in close proximity to longitudinal core we term shafts. In Virmani et. al. (Nature Reviews Cardiology (2014) doi:10.1038/nrcardio.2014.62-c2) there is a misunderstanding where I am quoted as believing these (shafts, intrapalque cavities, or whatever term) are due potentially to flushes during the procedures. I do not believe that so it is a misunderstanding. I believe they may be key in understanding which TCFAs lead to ACSs. 4. The TCFA that trigger ACS are likely in close proximity to necrotic longitudinal shafts (or intraplaque cavities or necrotic core whatever name you choose). We have a paper coming out in the next two weeks on this. 5. Inflammation causes atherosclerosis and is present after rupture (which is a highly thrombogenic environment ) but there is no evidence a aware of inflammation leads to rupture. 1. With OCT, to identify TCFA, in addition to cap thickness you need to identify if it has a necrotic core. There are several problems with this. 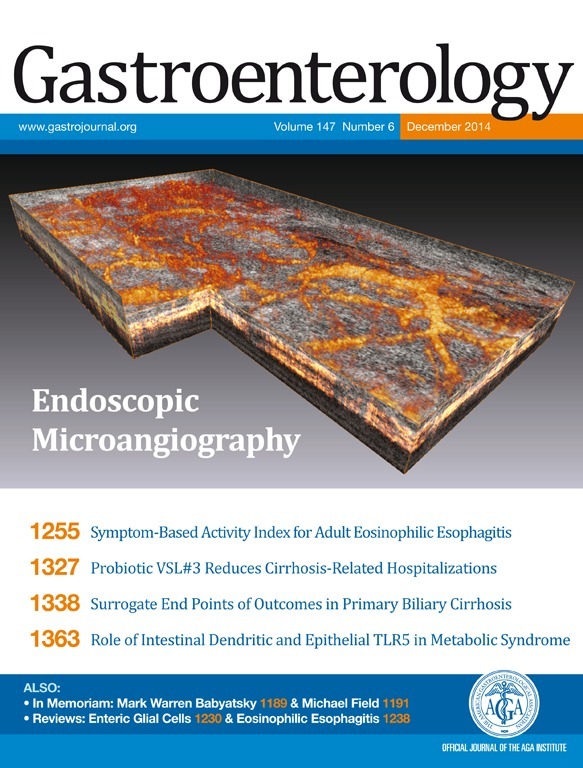 First the OCT literature has looked at the presence of lipid but histopathology studies have focused on necrotic cores. They are not the same think. So no one actually has studied the imaging characteristics of necrotic cores. Second, we have previously published it is unlikely that the current ‘diffuse borders’ criteria is actually measuring lipid or necrotic cores (based both on the data and theoretical reasons). This seems to be the opinion of the 2012 consensus study but you have to search to find it (J Am Coll Cardiol 2012;59:1058–72). For reasons we have discussed here and in other work, it is more likely the diffuse borders are lipid collections in the intima rather than anything specific to the core. It is just more likely that necrotic plaques have lipid in their intima. 2. It is unlikely current OCT techniques measure macrophages. We have stated in previous work are concerns over the one publication that suggests it does and in the current paper we discuss some of the reasons. That groups work used an algorithm and speckle variation. So the claim in the Otsuka et al that they actually caused shadowing is extremely unlikely and more likely do to other elements seen in the histopathology. Macrophages are a low scatterer in a high scattering environment (lipid and calcium). Recently Phillips JE et. al. have come to similar conclusions. We do not believe the approach in Tearney, G. J. et al. Circ. 107, 113–119 (2003) reliably measures macrophages. Again it seems to be the opinion of the consensus study but was an important point not emphasized. I plan to do some research about noise reduction of OCT images. But I don't know where I can get some pictures. Does anyone have some ideas? After looking at many synthetic and some biological material for over a decade, we were surprised the Megalodon met our needs. It is robust, inexpensive, can be used rapidly (such as in between procedures) and its properties don't change. It just requires being fixed in a molding to maintain orientation and marks need to be placed to insure you are imaging the same sight each time. I think the combination of OCT with techniques that involve quantum correlations is an important future direction for OCT. This paper demonstrates that not all quantum correlations are entanglement, and likely other forms of correlations are more practical as they can be used under ambient condition with traditional sources. Quantum correlations can be established with either first or second order correlations. It also demonstrates that the Science paper entangling diamonds was not true entanglement. Thinking the quantum effects, particularly quantum correlations, can only come from low output entangled photon sources (SPDC) limits the field. The paper describes how quantum correlations can be established with conventional thermal sources (previously paper in PRA) and in some cases first order correlations. We also interpret the recent "entangled diamond' experiment not as true entanglement but first order correlations with local entanglement. Though second order correlations assessments are not OCT, they can be performed within an OCT system so hopefully this work will expand the applications of OCT. Yes, OCTNews is a great resource. Thanks for all the work.